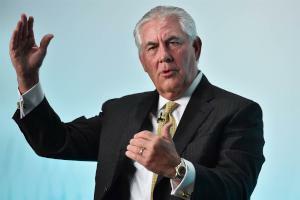 A visit to this country by a serving US Secretary of State is such a rare event that Rex Tillerson will be welcomed in style in Wellington tomorrow – even though the former ExxonMobil CEO could fairly be described as the least influential person in decades to hold the post. These days, the State Department is but a shadow of what it was only six months ago. An outsider in the Trump White House, Tillerson heads a severely understaffed bureaucracy where important posts at State have gone unfilled since the departure of the Obama era appointees. In the last couple of months, Tillerson’s lack of expertise in his new role has led him to snub the head of the African Union, and to slight a leading EU official. This bad situation is about to get worse. [Tillerson is]already facing a proposed budget cut that looks to gut his department. [And the president’s son-in-law Jared Kushner, who has even less diplomatic experience than he does, has forged a parallel foreign policy track from the White House. Clearly, the Paris withdrawal was also bad news for the State Department, which has yet to issue a statement. Where it once straddled the front lines of global climate negotiations, it’s now been dropped off the map. The shareholder rebellion at the ExxonMobil annual meeting in Dallas was led by major financial advisory firms and fund managers who traditionally have played passive roles…Even as the Trump administration’s commitment to the climate accord wavered, the Exxon vote showed that climate concerns were gaining ground in the business world. All of which puts Tillerson in the uncomfortable position on climate change of being offside with his White House boss, but onside with the shareholding critics of his old pals in the ExxonMobil hierarchy. Perhaps for all those reasons, Tillerson chose to skip the Rose Garden ceremony when Trump announced his decision to exit the Paris agreement. Tillerson seems lost, and alone. Within his embattled State Department his “leadership” style seems to be insular, and deliberately aloof from his staff. On many days, he blocks out several hours on his schedule as “reading time,” when he is cloistered in his office poring over the memos he prefers ahead of in-person meetings. Most of his interactions are with an insular circle of political aides who are new to the State Department. Many career diplomats say they still have not met him, and some have been instructed not to speak to him directly – or even make eye contact. Even on what is supposed to be Tillerson’s turf – foreign policy – Jared Kushner appears to have the President’s ear instead. Little wonder that foreign diplomats have been left in a quandary about much store to put in anything that Tillerson says or does. When Tillerson speaks, it seems that the President isn’t listening. At the very least, this is a novel way for the US to conduct its foreign policy. A few days ago, the State Department website explained why Tillerson is in this part of the world. U.S. Secretary of State Rex Tillerson will be in Sydney, Australia, June 5–6, with Secretary of Defense James Mattis to participate in the 2017 Australia-U.S. Ministerial Consultations hosted by Australian Foreign Minister Julie Bishop and Australian Defense Minister Marise Payne. Secretary Tillerson, Secretary Mattis, and their counterparts will discuss the full range of U.S-Australian cooperation on bilateral, regional, and global issues. The Secretaries will coordinate our policies and identify ways to further strengthen the alliance and deepen cooperation between our two governments. The Secretary will then travel to New Zealand to reaffirm our strong ties and discuss coordination on shared strategic interests with Prime Minister English and Foreign Minister Brownlee. Lord knows what “ co-ordination on shared strategic interests” means – it could be mean re-affirming our commitments on anything from Afghanistan to the South China Sea to the Israel/Palestine issue. What we can be sure of is that any key decisions made in Washington on those subjects will be made by someone other than Rex Tillerson. A few months ago, the 20 year old Norwegian singer /songwriter Sigrid Raabe’s “Don’t Kill My Vibe” was a pop treasure…Now she’s back with an acoustic version of a new song called “Dynamite” – just piano and vocal, and that extraordinary voice. It is essentially a breakup song – about the point when you realise that the differences that formerly didn’t mean so much are now an inescapable, destructive drag on both of you. “You’re safe as a mountain/but know that I’m dynamite..” Boom. “ I don’t belong in your universe/for better and for worse…” Could be a sad song, but its actually an assertive one.